Jason | Ipoh Mali Talak Sombong! Uh, no. 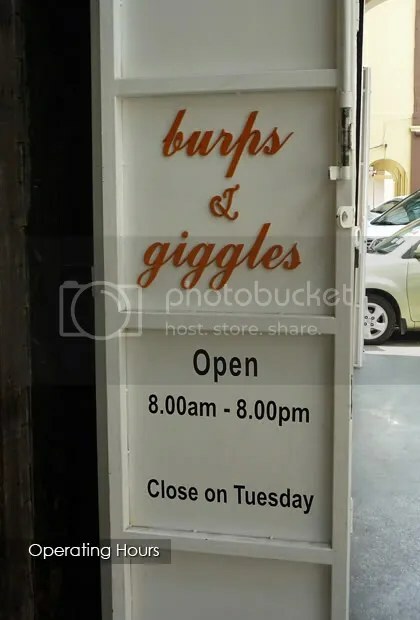 This is not related to any kungfu or martial arts school whatsoever. 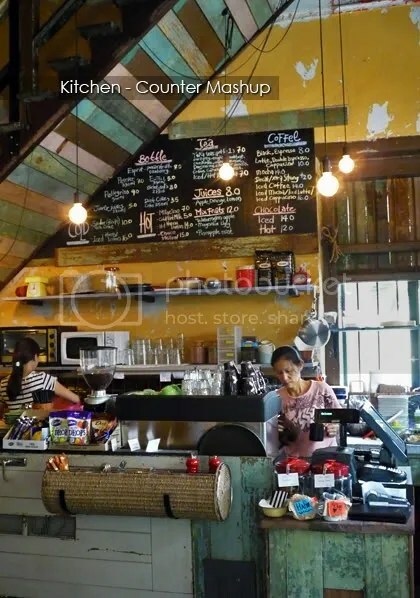 But how cool it would be if the waiters and waitresses are able to deliver your order to your table by walking in the air, yeah? 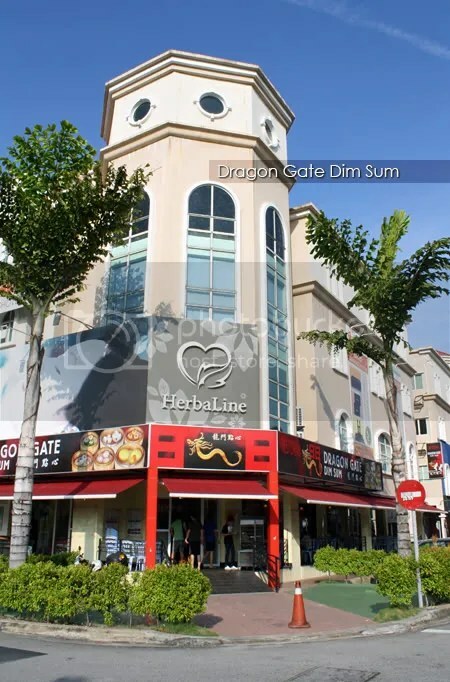 Coincidentally, when Motormouth dragged me along for dim sum here, another friend of mine asked us to buy the Living Social voucher for Dragon Gate as well. 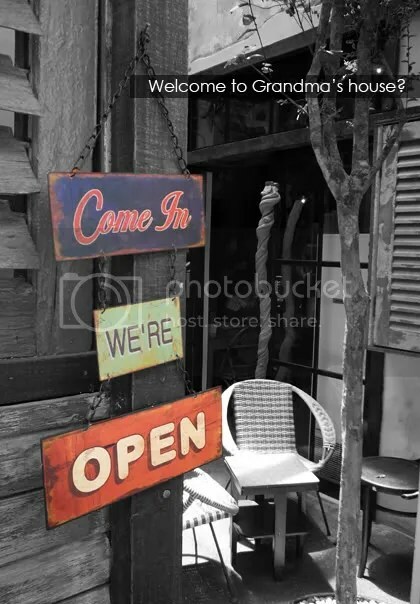 So, yeah… I actually been here twice. 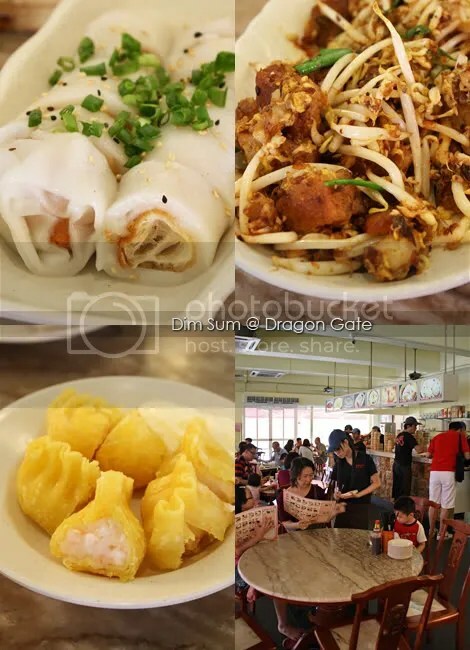 Conventional classics like har gau (prawn dumplings), siew mai (minced pork and prawn dumplings), char siew pau (BBQ pork bun) and crispy woo kok (deep fried yam puff) are available here among others. 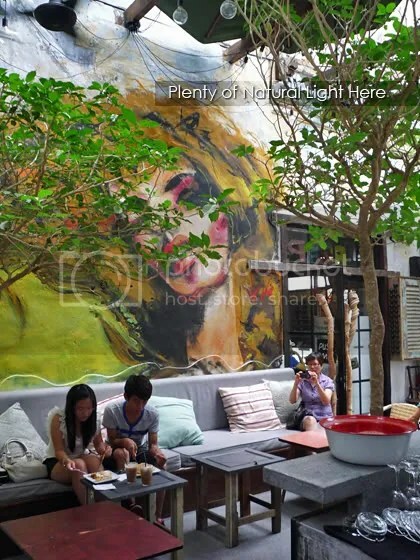 However, the famed and multi-branched Jin Xuan Hong is just a few streets away; so, to survive in the competition, one has to be creative and innovative. 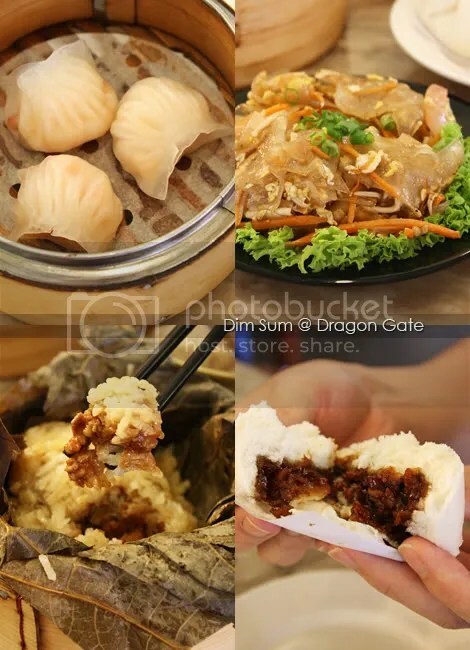 Dragon Gate came up with some quirky selection like Shanghai fried rice sheets with shrimps (transparent rice sheets resembles jelly), Wasabi shrimp balls, Pheonix shrimps with seaweed, HK’s style cha leong (yau char kuey wrapped with rice sheet), Shanghai xiao long bao and the list goes on. 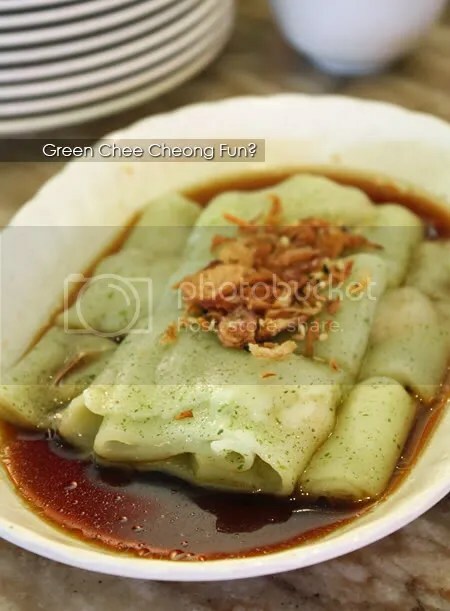 The spinach HK chee cheong fun looked as pretty as it tastes, the rice sheets were slippery smooth and not too thick in size. 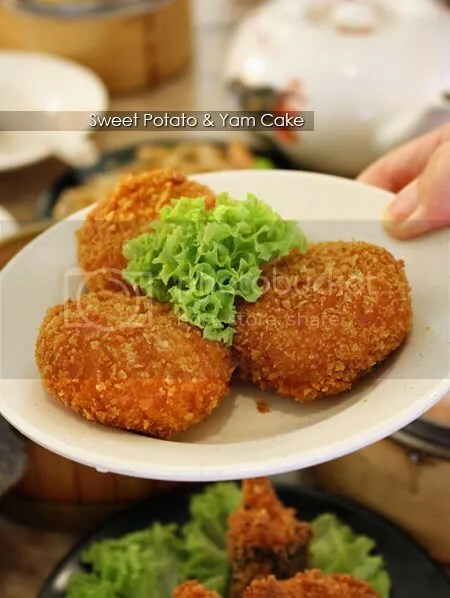 My other personal pick would be the lau sar bao/nai yau bao (custard salted egg bun), sweet potatoes and yam cake – deep fried to perfection, egg tart, and Shanghai xiao long bao. 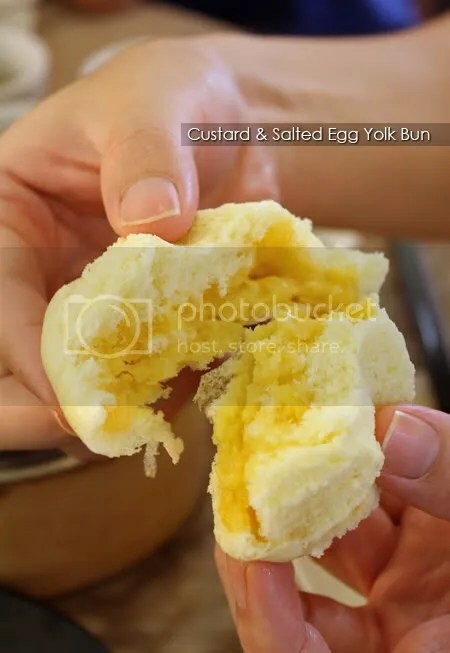 The custard salted egg bun were not up to our expectation during our first visit as the filling has harden up, rather than lava molten-alike but the issue was rectified during our second visit. 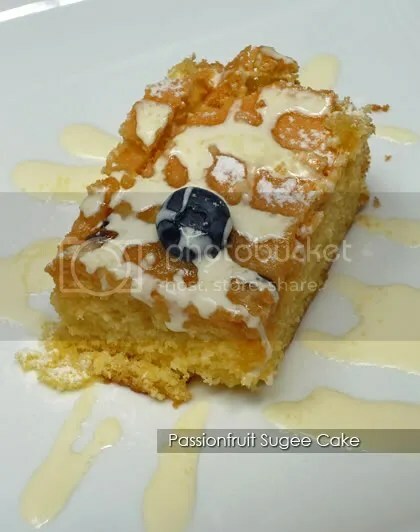 The sweet potatoes and yam cake can be rather filling as they are about 2/3 the size of a ping pong ball, so indulge with care. I’ve tasted better xiao long bao in Guangzhou, China before but Dragon Gate did a pretty good job on this as well. 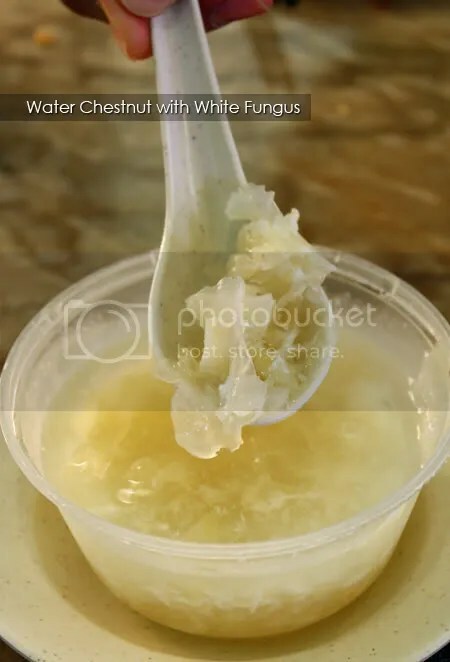 As for dessert, I love the mah tai kang (egg drop dessert with water chestnuts and white fungus). 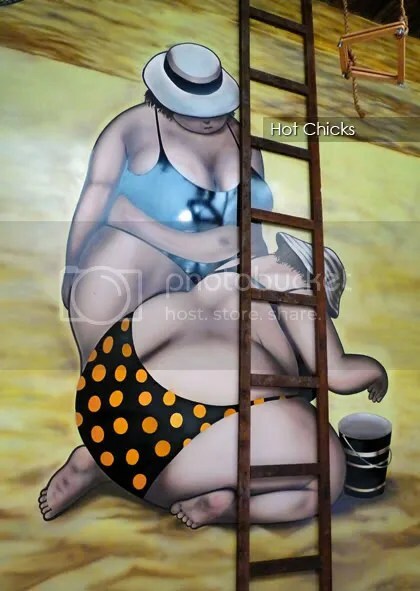 Reminds me very much of my mom’s version. 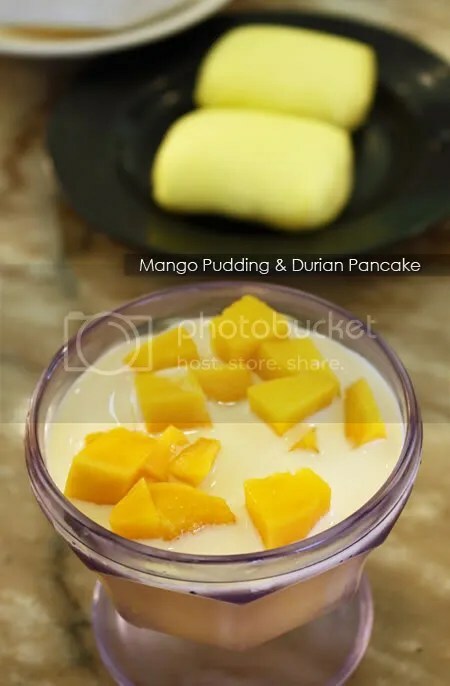 The durian pancake, as expected, has more cream than durian flesh, while the mango pudding would be better without the evaporated milk. 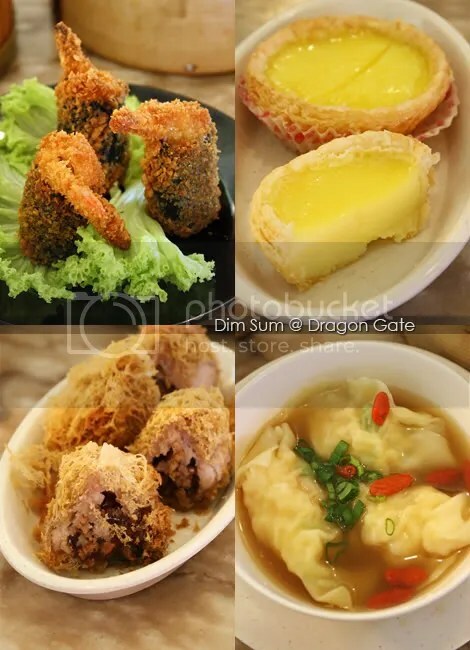 Overall, quite a pleasant dim sum experience at Dragon Gate. There are some hit and misses, which is no surprise as they just started operation about a year ago. 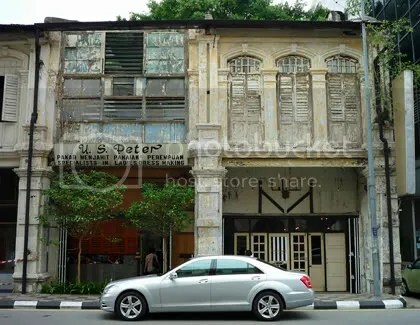 But with the reasonable price tags and slightly lesser crowd than other dim sum joints, I wouldn’t mind to come again. Before the 1950s, the Japanese called ramen (ラーメン) as shina soba (meaning “Chinese soba”), most probably because ramen is of Chinese origin. There are four main types of ramen; shio (salt), shoyu (soy sauce), miso and tonkotsu (pork bone), where each types came from different region of Japan. 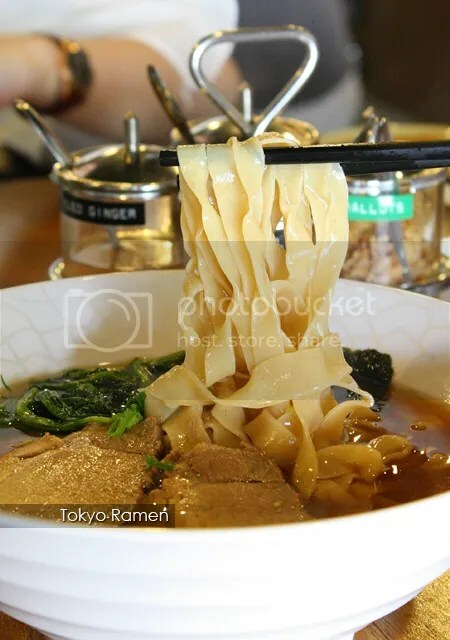 Klang Valley witnessed the ramen boom in recent years, where ramen joints mushrooming all over the metropolis such as Marutama, Yamagoya, Mai and so on. 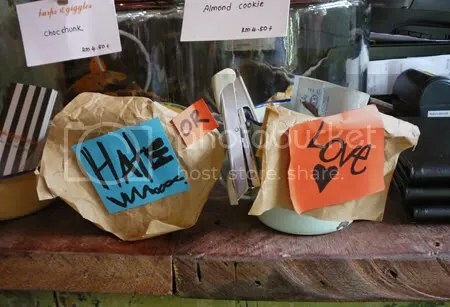 And since the trend is widely welcomed by Klang Valley folks, the people behind Nagomi decided to jump into the bandwagon as well, and thus Ikuzo Ramen is born. 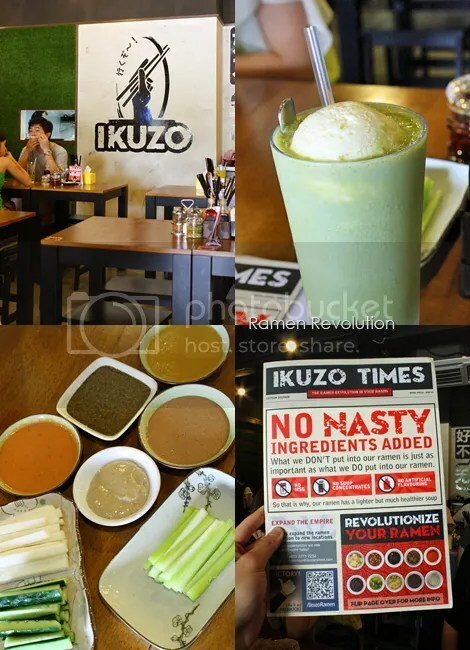 Helmed by Chef Shimbo Katsunori, Ikuzo Ramen prides itself as the revolution in ramen by using high quality ingredients with affordable price tags and no addictives or MSG are added into their food. 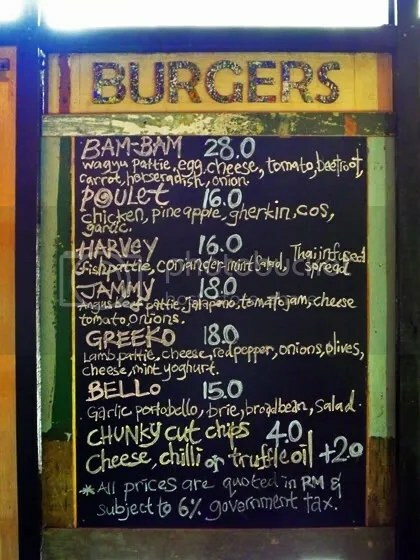 True enough, when I flip over the menu, I found that no single item is priced above RM15! 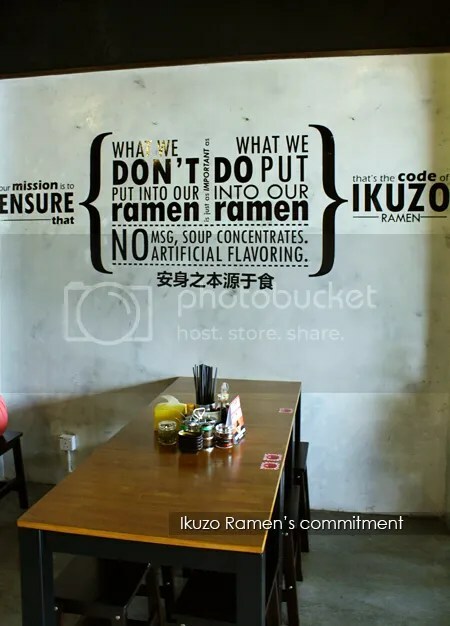 Ikuzo (literally means “let’s go!” in Japanese) Ramen believes that the quality of the broth dictates the ramen experience. Almost everything are prepared in-house, including the ramen (prepared using rye flour) and ice cream. 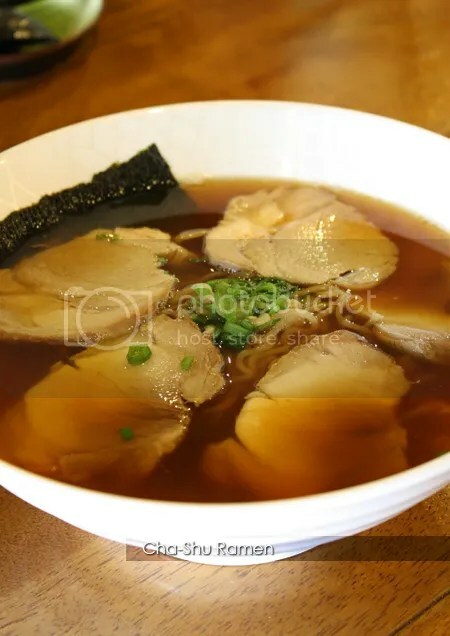 The broth used in most of their dishes are made from long hours of boiling chicken carcass and tonkotsu (pork bone), separately and flavoured with shoyu (soy sauce). I was told that some other secret ingredients that goes into the broth are fruit and veggies. Then, the two types of broth are mixed together to form the ramen broth that is light, sweet tasting and pleasant to the palate. What we had for appetizer? 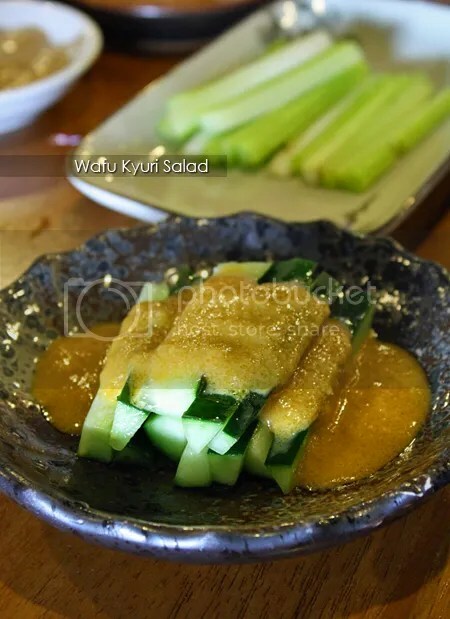 A very simple Wafu Kyuri Salad (RM2.00) – zucchini sticks dip with their home-made dressings. We tried all five of them; Nori (seaweed), Teriyaki, Wafu (Japanese vinaigrette), Gomadare (sesame) and Umejiso (plum). 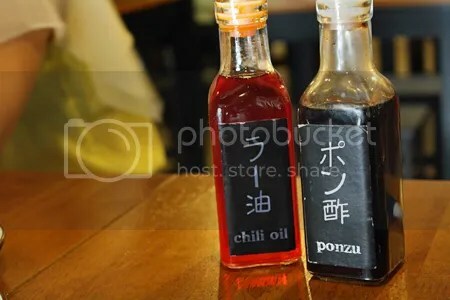 You can get these salad dressings from their shop directly. 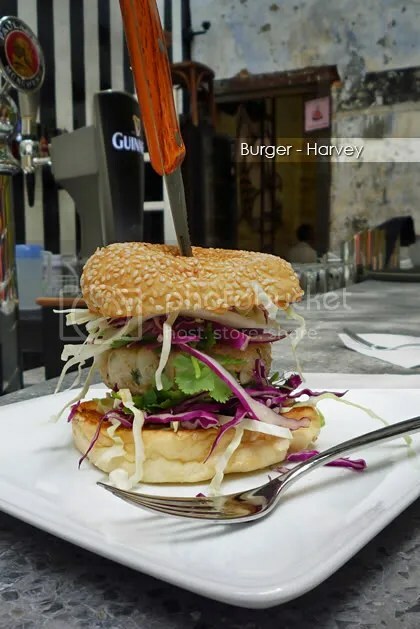 Forget about the boring mayo or Thousand Island, these tastes better! 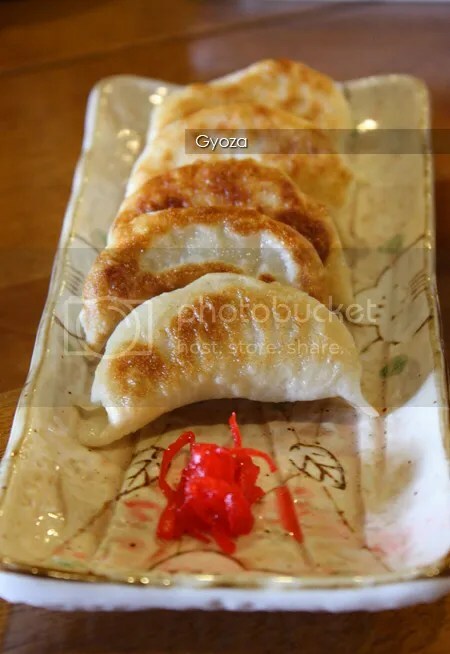 Gyoza (ギョーザ), RM4.50 was juicy with minced chicken filling, while their Okonomiyaki (お好み焼き), RM4.50 was a little bit too soft for my liking. 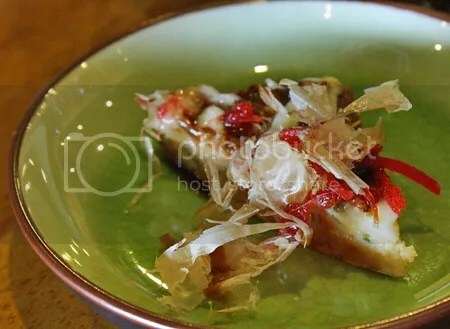 Topped with mayo, sauce, bonito flakes and pickled ginger, this Japanese pancake is much thicker than usual and served in triangles. 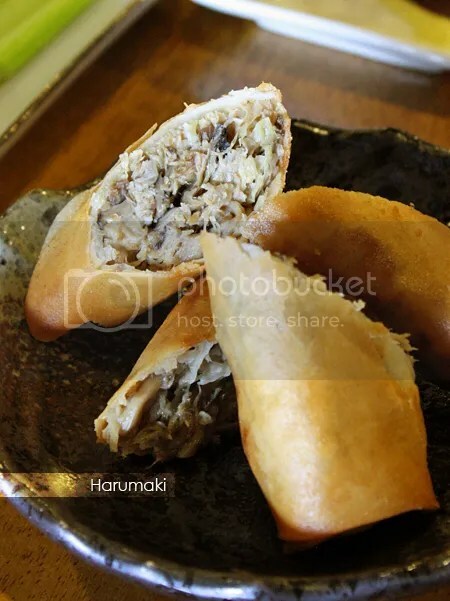 Harumaki (pork spring rolls, RM3.90) was quite good too with minced pork and mushroom filling. Tokyo Ramen (RM7.90) came with the thick, stright cut ramen (which resembles local pan mee), hard boiled egg, spinach, nori (seaweed) and slices of pork a.k.a. cha-shu (チャーシュー) in shoyu-based broth. 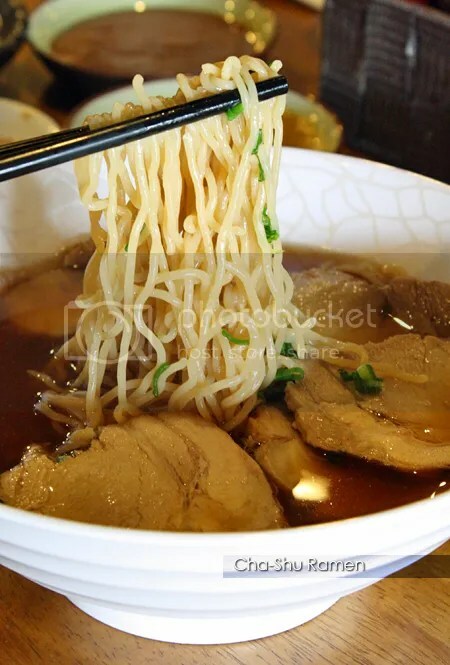 The broth was indeed very light and it doesn’t overpower the overall taste of the noodle. 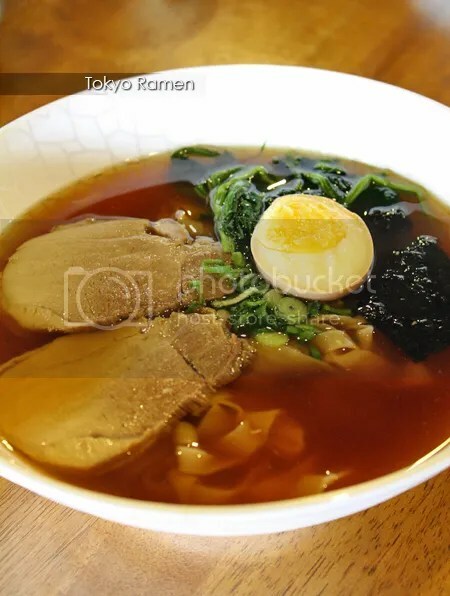 If the thick ramen is not your preferred choice, you can opt to have the thin version. 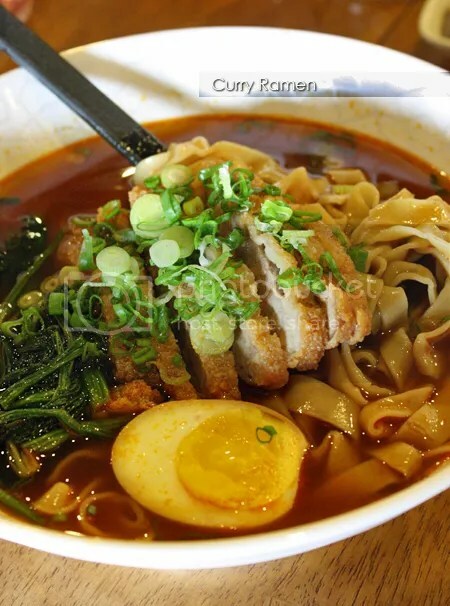 Two types of spicy ramen are available here; Curry Ramen (RM7.90) served with breaded pork cutlet (tonkatsu, 豚カツ), hard boiled egg, spinach, curry soup and garnished with chopped spring onions and Curry Tan-Tan Ramen (RM6.90) with minced chicken and mala spices. 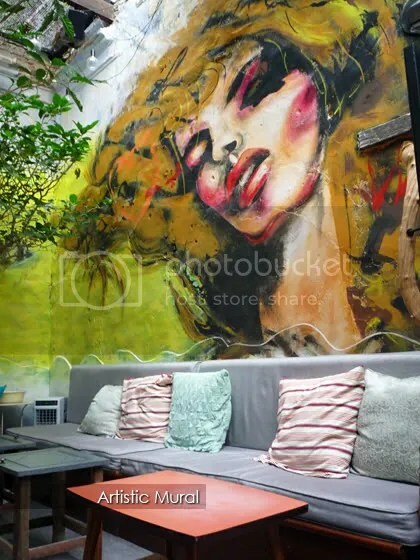 A good choice for those who need a little bit of heat and lots of meat in their food. 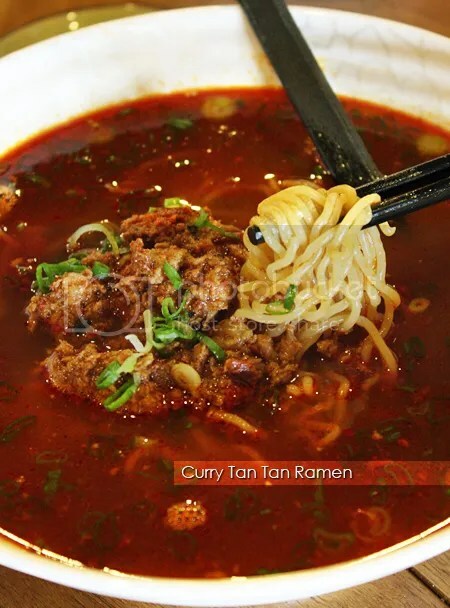 Comparison-wise, the Curry Tan-Tan Ramen is spicier than the Curry Ramen and it also has a stronger flavour to it. Not for the faint-hearted, otherwise, be ready with your tissue papers! 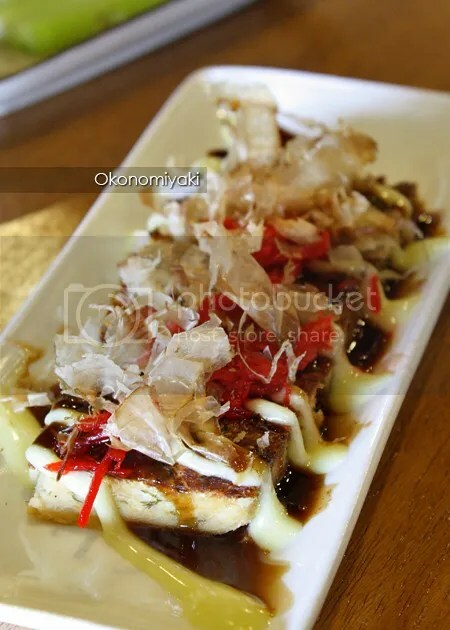 Alright, let’s go back to the basic, which is also Ikuzo’s best-selling signature dish. Cha-Shu Ramen (RM8.90) came in the thin version of ramen, 5 slices of cha-shu, seaweed and spring onion in a shoyu-based broth. Almost identical to their Tokyo Ramen in term of taste and flavour. The last duo, Hokkaido Ramen and Yakiniku Ramen (both priced at RM8.50). 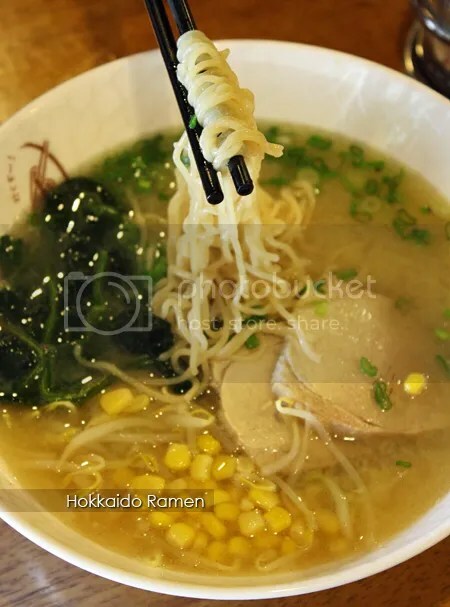 As Hokkaido is the birthplace of the rich miso (みそ), the Japanese associate Hokkaido with its miso ramen, which is ideal for Hokkaido’s harsh and snowy winters. Here in Ikuzo Ramen, their Hokkaido Ramen came with cha-shu, sweetcorn, bamboo shoots, spinach, bean sprouts and spring onion in a miso-based broth. Slightly heavier to the palate compared to the shoyu-based broth. 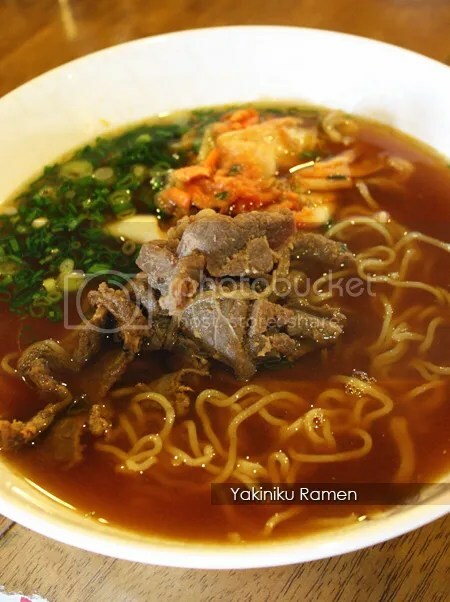 As for the Yakiniku Ramen, it is served with grilled marinated beef slices with spicy cabbage kimuchi in a shoyu-based broth, which gave the broth a slightly reddish hue. 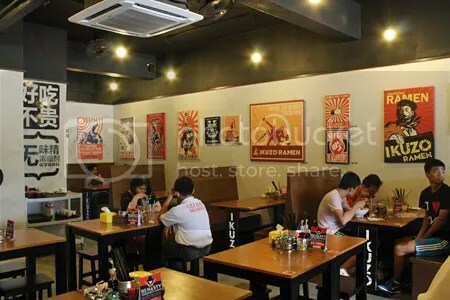 A little bit of Korean influence here (that’s why it is called ramen revolution, no?) and good for people who has low tolerance on spicy food. 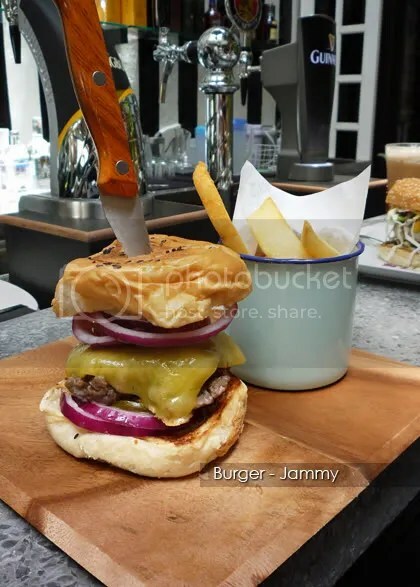 The beef slices could be improved though – I find them to be slightly tough. 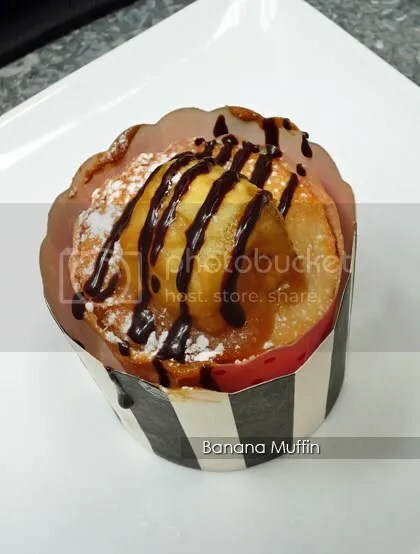 For dessert, go for their in-house made Yuzu (ユズ) ice cream (RM3.90 per scoop) or better yet, wash them down with the thick and creamy Green Tea Milk with Yuzu Ice-cream (RM5.90) instead. Am I revolutionized? 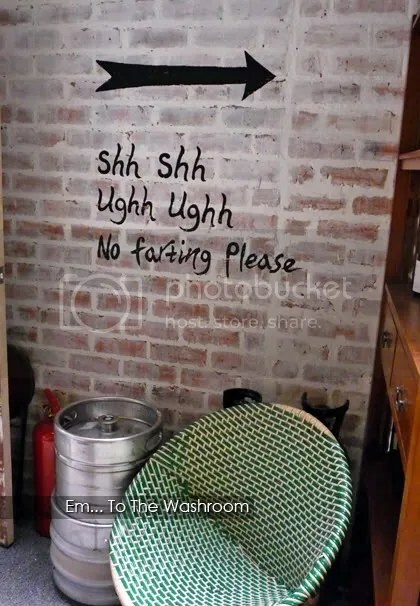 You can say partially, as I’m quite impressed with the effort, pricing and quality ingredients the chef put into their dishes. As for the ramen, they aren’t much difference to what the other ramen joints has to offer. 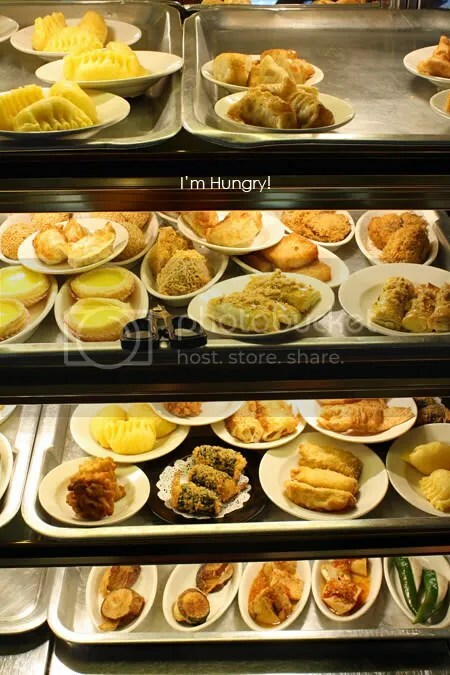 This post is linked to: Brought Up 2 Share, My Story and Eat Only Lar!